I am obviously an art lover, just like you ðŸ˜‰, and needed a way to display some in our kitchen. 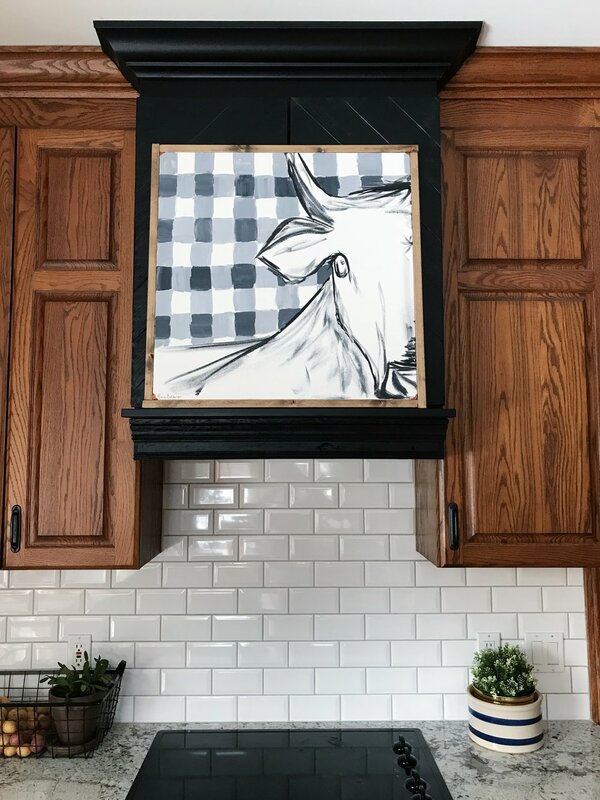 Check out how I transformed our kitchen by moving the microwave to our pantry and adding a hood that was built to display artwork in my favorite (more like most-used) room of the house! I donâ€™t e-mail often, but when I do it is GOOD.